Data traffic on wireless networks is exploding, and shows no sign of slowing, with Cisco forecasting compound growth of 78% between 2011 and 2016. 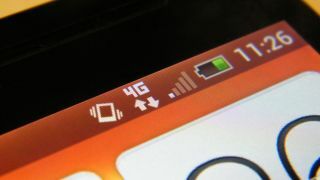 One of the factors driving this explosion is the relentless increase in connected devices. Today, there are approximately 10 billion connections to the Internet. This is expected to grow to 50 billion connections by the end of this decade, driven by a significant growth in intelligent, machine-to-machine communications such as traffic systems, automobiles, smart meters, and home appliances, as well as the number of wireless devices per person. It is not simply that people are carrying more and more devices. Each connected eBook, media player, tablet computer, smart phone, game console, Internet TV player, and wearable device is consuming more and more data, specifically video content, fuelling growth in network traffic. Currently, video data represents approximately 65% of Internet traffic and this proportion is likely to grow. Service providers need to respond to this "data deluge" with intelligent mobile backhaul solutions that can provide the necessary levels of connectivity and scalability cost-effectively. In addition, today's media-rich, real-time data is fundamentally dependent on the network for reliable delivery of its delay- and jitter-sensitive content, so backhaul solutions also need to deliver the required levels of network quality-of-service (QoS) and quality-of-experience (QoE). Furthermore, they need to provide appropriate operations and support in the form of provisioning, service level agreement (SLA) monitoring, security and fault finding. Traditional legacy interfaces and protocols that underpin previous generation 2G, 2.5G and 3G networks are still used today. But these protocols, like ATM, are not packet based, instead using asynchronous time-division multiplexing and encoding data into small, fixed-sized cells. And, these legacy networks supporting multiple standards cannot provide these features cost-effectively or efficiently since they were never originally designed to carry Internet Protocol (IP) traffic. In contrast, Ethernet is packet based and consequently is ideally suited and very applicable to IP-based mobile backhaul. Ethernet backhaul provides a cost-effective response for the requirements of connectivity, through its inherent network scalability (number of nodes) and economy of scale. However, cost is not the only imperative for adopting Ethernet as the most suitable mobile backhaul technology. Ethernet also enables advanced techniques of offering high degrees of assurance, operations and support through independent standards bodies such as the Metro Ethernet Forum (MEF). Ethernet can add intelligence to mobile backhaul by supporting MEF-standardised Traffic Management and Policing. These standards provide mechanisms to enforce layer 2/3 service level agreements, for example, Ethernet Service Operations, Administration and Management (OAM) implementation per ITU-T Y.1731, IEEE 802.1ag, and MEF SOAM. This is critical as backhaul equipment must provide data-plane-level support that is adaptable and scalable in the support of extensible OAM and traffic management. Ethernet also supports Layer 2 traffic classification and routing, for example through MAC source and destination addressing, and forms the basis for L2/L3/L4 packet flows. In addition, Ethernet enables convergence of the network from legacy to all-IP by allowing interworking of legacy layer 2 protocols, such as ATM, with a layer 2 packet based protocol. Ethernet is also much better suited to carry IP, which itself is a layer 3 packet-based protocol. The ideal network would leverage pure packet-based technology from the user all the way to the core and the Internet cloud. Ethernet is optimally suited for this purpose. While an all-IP network is not tenable given existing legacy infrastructure, network types can be bridged effectively by adding generic interworking functions to IP over Ethernet, such as circuit emulation services. Another challenge in IP backhaul networks is synchronization. Fortunately, Ethernet supports timing-over-packet services such as IEEE1588v2 and synchronous Ethernet.